Logitech announced plans to scale down its work force in March, the result of which would see it focus on mobile products. Step forward then, the Harmony Ultimate Hub, which Logitech says will transform iOS and Android smartphones into “personal universal remote” controls. The Harmony Hub is included with a range of Logitech’s pricier offerings but now it will be available standalone. For just $99.99, couch potatoes and smartphone-addicts alike will enjoy the opportunity to control up to eight separate devices from their phone using the hub. The system works by using an app which communicates with the hub to provide IR, RF and WiFi support. The product will become available in the US and selected European markets this August. 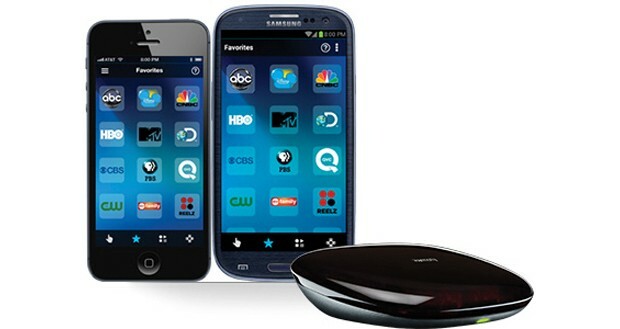 Logitech also reiterated that it plans to keep ownership of the Harmony remote product line, claiming that doing so is in the best interests of its shareholders — that’s despite revealing plans to sell its entire remote control division in January. The firm says the launch of the Harmony Ultimate in April has seen the brand “gain momentum” among consumers. Read next: Can you predict someone's taste in movies based on their taste in music? Apparently yes.